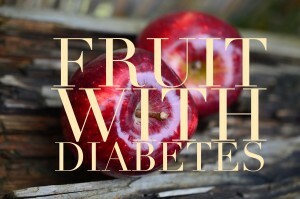 Diabetes, as well as many other chronic illnesses, comes with its own struggles and questions. In many cases, there is no straight answer, or no solution that works across the board. This is because every case is different, no matter how similar the symptoms of diabetes and results can vary for each individual. It is for this reason that most questions and concerns should be directed to your own physician. While some solutions may work for the majority of people, this does not mean you will have the same results. When it comes to your health, better safe than sorry is always the best rule of thumb. So before you take the advice of any article you read, or before you make any changes to your diet or lifestyle, you should consult your doctors first. One of the questions that many people have about their diabetic diet is whether or not eating fruit is safe or good for you. This is one of those questions that has many answers, and many qualifications to consider. The overall feeling among most physicians and nutritionists is that eating fruit is safe, but there are rules to consider. As a general rule, all carbohydrates and sugars should be paired with protein to keep a good balance. Fruit has both natural sugars and carbohydrates, no matter which fruits you eat. So it is a good idea to pair your fruits with protein options. For example, have some low fat cottage cheese with your peaches, natural peanut butter with your apples, etc. Nuts and cheese are great options for easy protein choices, but do make sure you are watching your fat content. Just because most professionals agree that fruit is generally safe for diabetics does not mean you can eat as much as you want without consideration. You still need to count the carbohydrates and natural sugars in fruit as part of your daily count. Keeping track of what you are eating is an important part of maintaining a healthy diabetic lifestyle, and nothing should be omitted, least of all fruit. “Generally safe”, after all, does not make fruit a free-for-all. When it comes to fruit, there are better options than others. Some fruits are naturally lower in sugar and carbohydrates, as well as higher in fiber, antioxidants, and other very healthy factors. The best options, for example, are berries. Strawberries, blueberries, raspberries, blackberries and other such berries are absolutely packed with all sorts of nutrients. Another good option are apples. Apples have fiber to help balance out the natural sugars. Apples are also very easy to pair with cheese, peanut butter, and other protein options for great snacks and more. Unfortunately, the rules that apply to fruits do not apply as much to fruit juices. That isn’t to say that you can’t have juice at all, but that it needs to be moderated much more than the fruits themselves. Fruit juices often have higher sugar content per serving, and many fruit juices have added sugars, preservatives, and other ingredients that could have an adverse effect on your blood glucose levels. Many people believe that diabetes means only strict restrictions on everything, but the truth is that moderation and being careful are the name of the game. In this instance, you can have your fruit and eat it too as long as you follow the rules. Make sure you speak to your healthcare professionals first; to make sure that you do not need to take any special considerations. Click here for a meal plan. Have You Started To Feel Like You are on Trial? What is a NCS (No Concentrated Sweets) Diet?